There is no doubt that New Orleans Saints quarterback Drew Brees is headed to the Hall of Fame once he hangs up his cleats for good. But that is not happening for awhile with the next item of business being a home matchup against the Cleveland Browns. 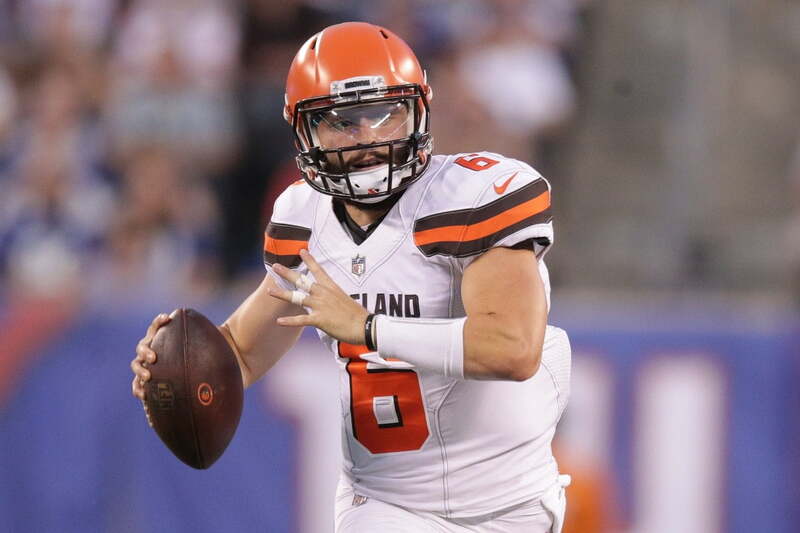 Even though quarterback Baker Mayfield will serve as a backup this Sunday, Brees spoke in very high regards about the Browns’ first overall pick. Though the two have not yet met, Brees only had awesome things to say about Mayfield in observing him. Mayfield draws a lot of comparisons to Brees due to being one of the shorter quarterbacks in the league. Brees is listed at 6-foot and Mayfield tops out at 6-foot-1. We all know that height means absolutely zilch when it comes to Brees. Multiple inches shorter than several starting quarterbacks, Brees was the most accurate passer in the NFL last year. When it comes to Mayfield, he can certainly continue learning until his time arrives. He can also take the time to soak in meeting and watching Brees this Sunday. Talk about the best of both worlds.